Our main disaster restoration services include water damage restoration, fire and smoke damage restoration, mold removal, deodorization, emergency board ups, reconstruction, content cleaning and pack-out, and biohazard cleaning. We are committed to restoring your property back to its original condition and our technicians will go above and beyond to ensure quality results. The owners of RestorationMaster are involved with our daily activities and have a strong interest in providing quality services. This sense of responsibility is shown by our entire staff through our dedication to serving our clients. You can reach RestorationMaster 24 hours a day to provide emergency disaster restoration and remediation services for the homes and businesses of Orlando, FL and the surrounding areas of central Florida. 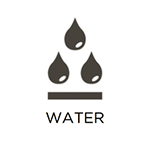 Excess water or moisture in a home or building is responsible for more property damage than any other type of disaster. 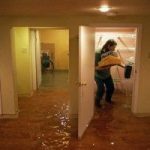 Water damage may happen as a result of rain or flooding, but it can also be caused by burst pipes, plumbing leaks, appliances, overflows, and other internal problems that can happen at any time. The reason water damage is so destructive is because it easily penetrates porous building materials which leads to major problems like mold or structural damage. At RestorationMaster , we are trained and equipped to provide complete water damage restoration services for homes and businesses in Orlando, FL. We can properly restore and rebuild water damaged materials and as an environmental consultant, we can address any environmental issues leading to water damage on your property. Fires are among the most difficult and dangerous disasters to deal with because they threaten the lives of everyone inside and cause very severe and extensive damage. The damage is not done spreading after the fire is put out as smoke, soot, and other byproducts will continue to spread and worsen the damage until the restoration begins. 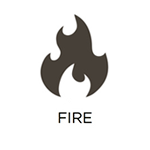 You must call for professional fire damage restoration immediately after a fire to help contain the damage and restore your property before the damage becomes worse. 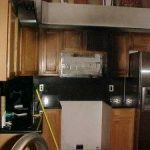 RestorationMaster provides complete fire and smoke damage restoration services in Orlando, FL to rebuild structural damage and reverse the effects of the soot and corrosive byproducts. Our technicians provide the right combination of restoration and reconstruction work to get your home or business back to its original condition. Mold is a common intruder in homes and businesses and it can have damaging effects to your property and to the health of those within. Mold spores are a natural presence in the air and when they encounter an environment that provides a source of moisture and food, they quickly form into mold colonies. You must never hesitate to deal with a mold issue because the damage to the affected surfaces will continue to get worse, and the mold will disperse its spores, spreading the growth and increasing the risk of health effects. 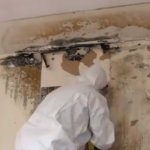 RestorationMaster can effectively remove mold from homes and businesses in Orlando, FL with our professional mold remediation services. We will accurately test your property for mold and remove it with advanced cleaning and purification methods. Many natural disasters cause much more than just physical damage to your home, they can also leave your home with a foul odor. 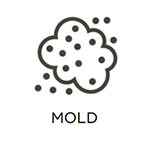 Mold growth and water damage typically result in musty odors, and fire, smoke, and biohazard materials also leave behind foul odors that get absorbed in the air and porous building materials. Unpleasant odors can only be removed effectively if they are eliminated at their source. RestorationMaster provides complete deodorization services in Orlando, FL to remove all types of lingering odors from homes and businesses. Our technicians will ensure that the odor is eliminated at its source so you don’t have to worry about the odor returning. It is very rare for a natural disaster to cause damage within a home without affecting your personal belongings. Several types of disasters including floods, fires, and mold growth can cause extensive damage to your personal items such as clothing, electronics, books, appliances, and much more. 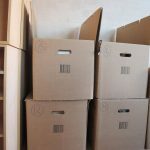 If your delicate personal belongings are not cleaned up and restored immediately after a disaster, they may experience permanent damage. RestorationMaster can restore your damage items after a disaster with our content cleaning and pack-out services in Orlando, FL. Our technicians can clean and restore a wide variety of personal content and offer pack-out services if your content must be cleaned and restored off-site. When a natural disaster occurs, you can never be certain of what type of damage it will cause to your property. Several types of disasters such as storms, floods, and fires can damage the roof and siding of a home, leaving it vulnerable to further damage from the weather, vandalism, or intrusive animals. Serious exterior and structural damage can also get much worse and lead to collapse if the building is not quickly covered and secured. RestorationMaster provides emergency board up services to board up and stabilize homes and businesses in Orlando, FL that have experienced severe damage. Our technicians will cover holes from damaged windows, doors, or siding and we will stabilize the structural damage to keep your home or building standing. When a home or building experiences devastating structural damage from a disaster, dealing with the aftermath is difficult and overwhelming. Nobody wants to see their property so heavily damaged and the reconstruction process is sometimes complicated and time consuming. 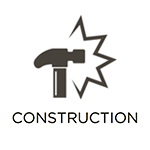 At RestorationMaster , we can provide complete construction services to rebuild damaged homes and commercial buildings in Orlando, FL. 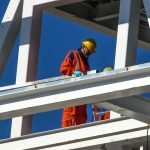 Our experienced construction crew includes general contractors that can plan and carry out a complete construction plan without involving multiple subcontractors. Hopefully you will never have to deal with a serious injury or death on your property, but the possibility is always there so it helps to know how to react to these scenarios. 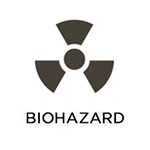 Every day, violent crimes and serious accidents that result in injuries or death occur, and the scene can be extremely dangerous, especially with the presence of biohazard materials like blood and tissues. 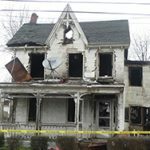 Your first call should be to alert law enforcement and EMTs, and you will have to call a licensed restoration professional as well to handle the cleanup and restoration. RestorationMaster provides biohazard and trauma scene cleaning services in Orlando, FL to safely clean up biohazard materials and restore the scene of an accident or violent crime. You can trust our technicians to thoroughly clean and disinfect the scene and approach each scenario with sensitivity and discretion.